 Brokerage Services ⋆ Direct Market Access ⋆ Alaric Trader. We ensure unparalleled execution speed through direct connection to the NASDAQ and NYSE exchanges along with the leading trading software in the industry. Alaric Trader provides Direct Market Access to over 100 dark and light pools and all U.S. exchanges and depth of liquidity required by professional traders. We cater to all specific needs of financial institutions, such as hedge funds, asset managers, active and professional traders. Our clients receive the benefits of customizable leverage, low-cost commission, fast order execution, risk management tools, including pre- & post-trade allocation for multiple accounts, and many more. Alaric Trader offers Sterling Trader, Sterling LST and REDIPlus direct market access (DMA) trading platforms. All the trading software we offer are full-feature and low latency multi-asset professional trading platforms, specifically designed for professional traders. The platforms have an easily customizable layout and hotkey functionality, catering to the specific needs of any type of trader. To meet the requirements of our clients, we offer multiple account types, including “Reg T”, “Portfolio Margin”, “Managed” and “Delivery vs Payment – DVP/DFP” accounts.